"Absolutely brilliant the wind noise was halved instantly ..Nice to see a product that does what it claims. I`d recommend these screens to anyone "
Please note these screens are manufactured to order, with approx. 7-10 working days delivery (non-refundable payment taken at time of order). 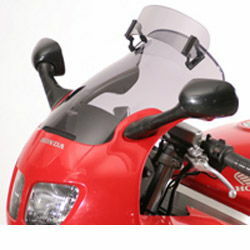 !quote, 39054, intercveptor, windshields, wind, shields, windscreen, motorcycle, motorbike, sportsbike, vision, vario, touring, screens, vario-screens, vario-shields, gray, grey, tinted, smoked, 94, 95, 96, 97, 1994, 1995, 1996, 1997, r, s, t, v, vfr, 750, f! 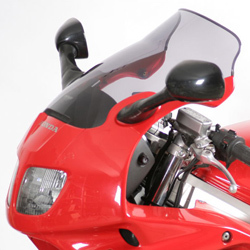 Picked up my screen for my VFR 750 and fitted it outside your shop to see the difference down the motorway...Absolutely brilliant the wind noise was halved instantly ..Nice to see a product that does what it claims.